Nick spent most of the day in the engine compartment finishing off all those little tasks which need to be completed before the engine can be fitted. 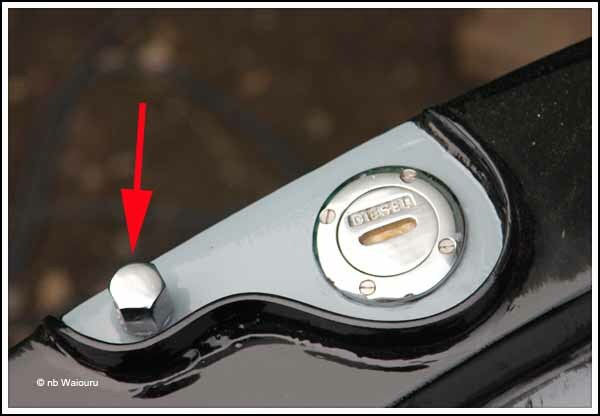 His first task was to fit the deck light followed by the four water resistant stainless steel button switches. They have a ‘momentary’ action so they are compatible with the Empirbus system. Whilst Nick was physically wiring the switches I reprogrammed the system so the correct switch operated the relevant consumer. We had an initial problem with the deck light switch when it wouldn’t turn off. Then I realised the Empirbus system was configured to turn the light on automatically when the system reset. After that the camera system was wired followed by the bow thruster control panel. The switches are mounted vertically (Horn, Headlamp, Navigation Lights, Deck light) The Navigation light at the rear is a while light and by reprogramming the Empirbus system it should be possible to make it turn on/off with the deck light switch. However the clever part is this action won’t affect the front port & starboard navigation lights. Effectively we will make the rear navigation light a second deck light. Nick has wired the bow thruster controller in reverse. He has done this because the control panel is facing forward rather than on the side of the column. The steerer will be able to reach forward and push the green arrow to move the bow to port (left) and the red arrow to starboard. There was a problem with the camera system. Somewhere there was a short circuit which had blown the fuse. I told Nick to cut the conventional fuse out of the wiring and crimp the end together. The Empirbus has digital fuses and the camera system is wired into it. It’s a relatively easy operation to reset the digital fuses. Eventually Nick found a hole in the cable which was creating the short. Whilst he had lunch I cut out the damaged section of cable and re-wired the connections. The camera then started to work correctly. They appear to make a difference! 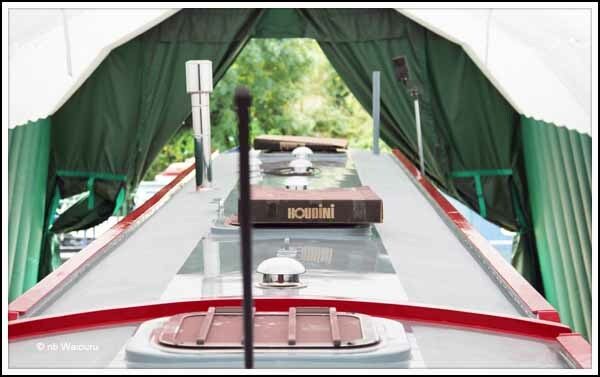 This is the conventional view from the stern. OK, so Waiouru is in a tent. But you can see the view immediately in front of the boat is rather limited. This next photo show the wide-angle close-up camera which is pointing down towards the bow. Now it’s possible to see much more. This next photo is the view from the narrow-angle long range camera. 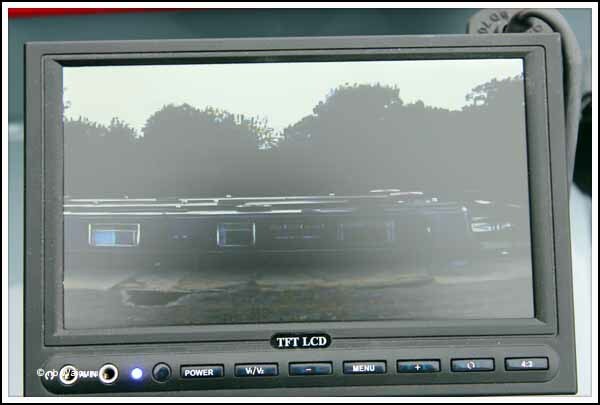 If you go back to the photo taken from the stern it’s apparent the cameras provide more visibility. Whether it is necessary is another question! 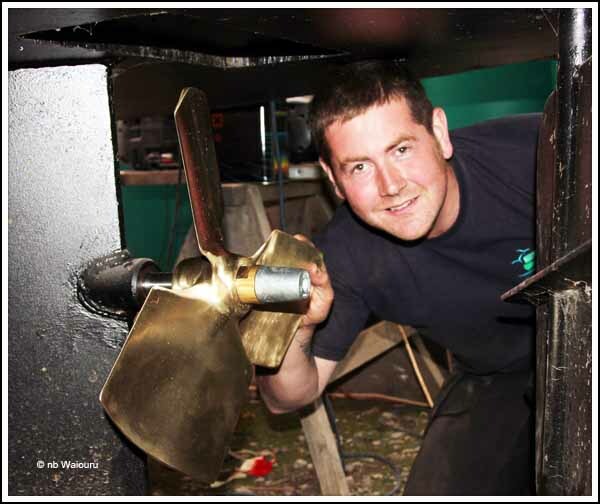 Towards the end of the day Nick fitted the Axiom propeller and the breather valves on the two stern fuel tanks. We require a further two breather valves high on the exterior of the front bulkhead. One for the diesel tank supplying the stove and the other for the water tank. The last task completed today was to give the oak frame to the front doors their second coat of gloss varnish. Hopefully I’ll get a third coat applied tomorrow. However Darren is back tomorrow and I suspect it’s more likely he and I will be fitting portholes and the steel frames for the Houdini hatches. Poor Jan had the job of catching the bus to Calcot and shopping in Sainsburys for essential supplies. She returned with a replacement fleece top for me (discounted price) as my current top is starting to look very “battered”. It will probably go in the bin once Waiouru is finished! She also purchased a large bottle of homebrand ‘cola’. Half of it has been tipped down the toilet and the other half will go down tomorrow. It’s a trial to see how good a job it does removing the scale from the toilet. If it does a satisfactory job then we can be reasonably confident it’s having the same impact along the sanitation hose on its way to the holding tank. 1. There is plenty of loud trumpeting and screaming. 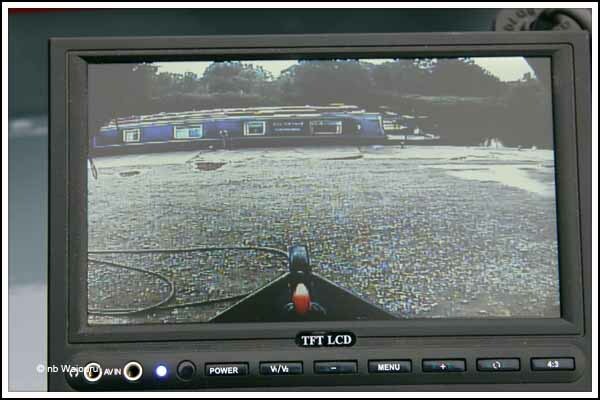 We are hoping to have a bow camera fitted to AmyJo too for the same reason you have. Can I ask where you plan to mount the monitor? Will it inside or is it a waterproof one for outside? By the way Waiouru is looking fantastic in those new colours! The monitor isn't weatherproof. It's designed to go inside a vehicle. This is why we have it on a removable mount with a good socket. Our intention is to have a Pram Cover over the cockpit so it will get some protection from the elements. Well the bowl is sparkling clean but I must admit I haven't pulled the system apart to check the pipes.